High Hopes: Thought this was a winner when it was released as a single. However, after listening to the whole album, it actually probably ranks further down the list than I previously expected. You have already heard this one. Harry's Place: This was an outtake from The Rising, and to be honest I'm glad it was. It would not even come close to fitting on the album. This is one of the highlights on High Hopes. Kind of has a blues and rock mix feeling to it. Clarence also makes an appearance on this track. Quite clear this is about a drug dealer and Bruce drops some "F" bombs here folks. American Skin (41 Shots): When I first listened to this song, I thought Bruce did an amazing job on both the intro and outro to the song. Great bullet mic of Bruce echoing "41 shots" starts the song. Pair that with some great vocals and many fans will enjoy this one. Just Like Fire Would: This was one of the songs I was most looking forward to when I saw the track listing. Fantastic recording and sounds similar to the live version that he played in Australia earlier this year. Sounds very loose and done E Street style. Down in the Hole: This is probably one of the saddest songs on the album and that I've ever heard. This had to be an outtake from The Rising, and I am shocked it did not make the album. I don't want to give too much away before the release but this has to be in my top 3 of the album. Fairly slow song that picks up the beat into an "I'm on Fire" type of tempo. Bruce also starts out the vocals with a bullet mic that turns into his normal voice mid sentence. Fantastic song that tells a story that everyone will understand after a listen or two. Heaven's Wall: Raise your hand! That is all. Frankie Fell in Love: Probably my favorite on the album so far. Very loose and a fun song with of course the famous E Street style. 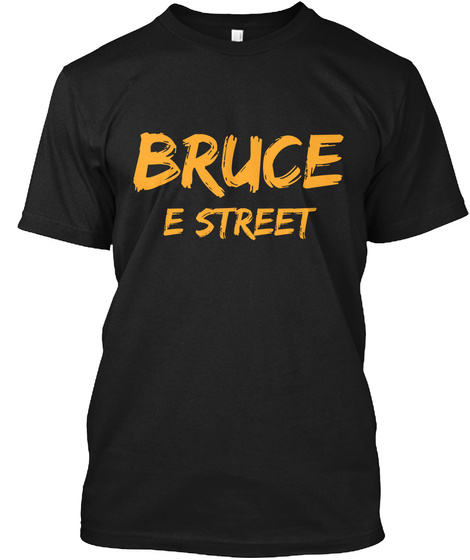 I think Bruce has a great winner here. This is Your Sword: Bagpipes open the song and is a solid track. Not the best on the album but not one of the worst either. Almost sounds like Springsteen is sending a message to his fans, teaching them about the lessons of life. I need more time to analyze this one. Hunter of Invisible Game: This one was originally not one of my favorites. However, the more and more I listen to it, I gain more respect for it. Musically it is very different and sounds better and better every time I play it. Springsteen's producer recently said that this is one of Springsteen's best songs and that it just never fit on an album. The Wall: What a great track. Very powerful and Springsteen pours his emotions into this one. Great vocals with Bruce starting out with just himself and his guitar. I think a majority of Springsteen fans will like this one, very powerful stuff here. Springsteen has played this before in the past a handful of times, in concert. The Ghost of Tom Joad: Just when I thought that I did not care for this song anymore, Springsteen releases this gem. When I first saw this song on the track list, I did not think anything of it. I think he and Morello will surprise everyone here with how great this recording is, right from the start. Hard punch from the first note. Dream Baby Dream: I think this is a great cover for Bruce. A good way to close out the album. Just based on how good some other songs are on the album, this one is with High Hopes and towards the bottom believe it or not. That is saying something as I think this is an amazing version from Bruce. You have also already heard this one before. Of course, this is not my full review. That will most likely be due out when the album hits stores on January 14 or maybe a few days before then. I did not want to give away that much detail for those who want to listen for themselves for the first time with an open mind. I think Springsteen fans will love this album, trust me, this album grows more and more on me as time goes on. Keep it here for the latest.